Marvel’s Daredevil TV series has made a name for itself both on Netflix and among its viewers, and with good reason. In the wake of the less-than-stellar 2003 movie, and with no new big-screen entry on the studio’s docket, it’s good to see that The Man Without Fear is doing so well. 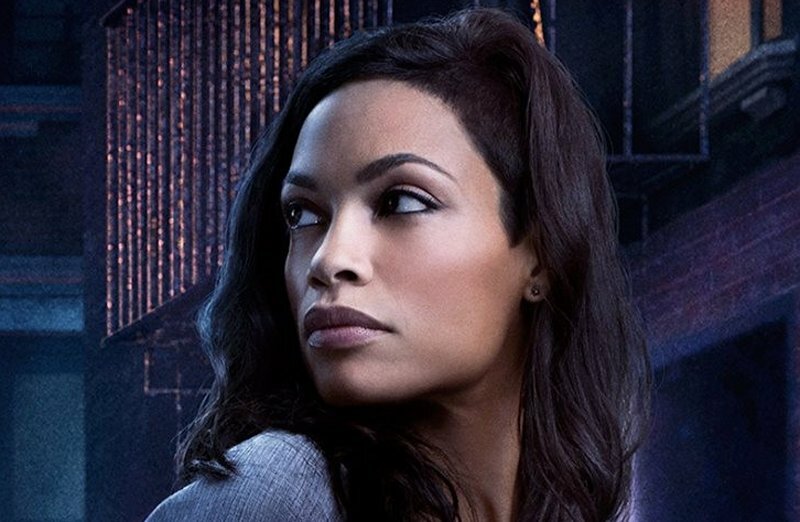 It’s a safe bet that part of the show’s success comes from supporting players like Rosario Dawson — so it’s no small wonder that she’s been attached to some coming attractions. Dawson plays the nurse Claire Temple in the series, and patches up a battered Matt Murdock — the titular hero — on a regular basis. Even though she had every reason to back out from the fight, the official report is that she’ll be back for an upcoming second season. More importantly, Dawson signed on to a larger deal that will let her and her character appear in other Marvel shows. That means that Temple could show up on AKA Jessica Jones, Luke Cage, Iron Fist, and the ultimate — if inevitable — team-up, The Defenders. There’s no telling what sort of extended role she might play for now, but fan speculation has already begun. It’s worth noting that even if she hasn’t donned a costume, Temple is actually an established character in the comics, where she had a romance with Hero for Hire Luke Cage. If the shows’ writers so desired, they could mine the source material for some exciting twists. Even if they don’t, then at the very least viewers will be in good hands with Dawson sticking around.